In 100% Field Grey or Black wool. Camo caps in cotton. 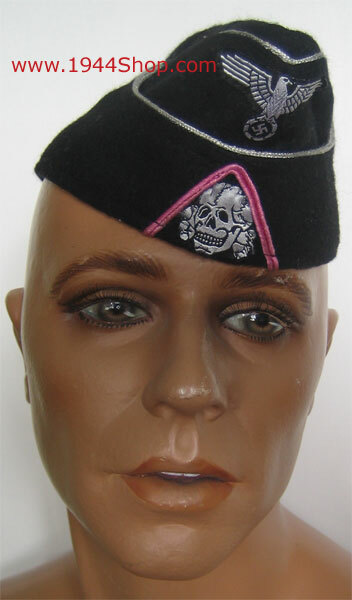 Black, Waffen-SS Side Cap with "V" in pink, Officer. With SILVER piping and BeVo badges: SS-Totenkopf and SS-Eagle. Not attached. 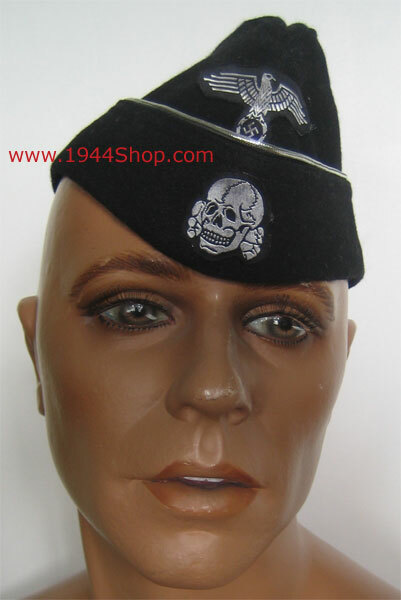 Black, Waffen-SS Side Cap, Officer. With SILVER piping and BeVo badges: SS-Totenkopf and SS-Eagle Attached. 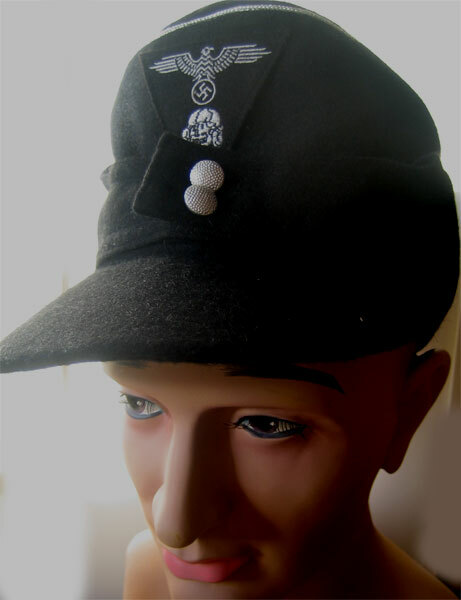 Field Grey, Waffen-SS Side Cap, Officer. 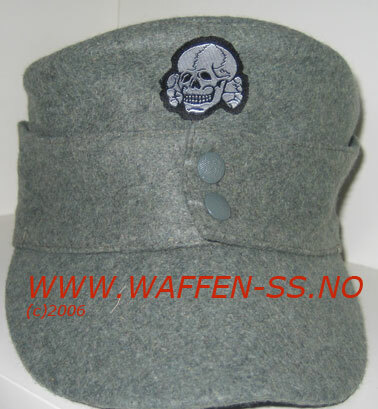 Field Grey, Waffen-SS M-43 Cap. With BeVo badges: (SS-Totenkopf and SS-Eagle). Not attached. 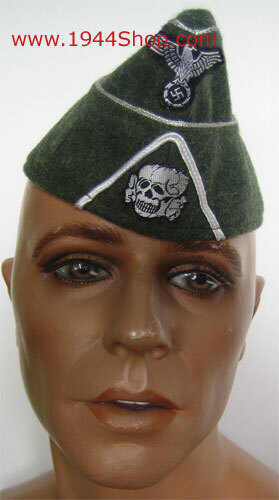 Panzer beret, officer, with leather sweatband inside. With badges. These badges ARE attached. 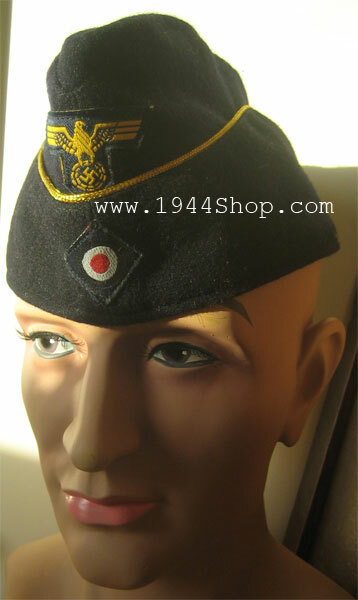 Very nice navy blue officer cap with golden piping. 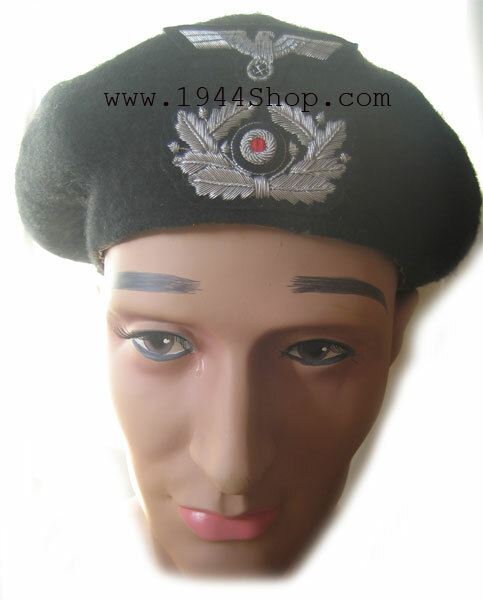 Black, Waffen-SS M-43, Officer Field cap. Badge attched on cap. Silver piping for officer. 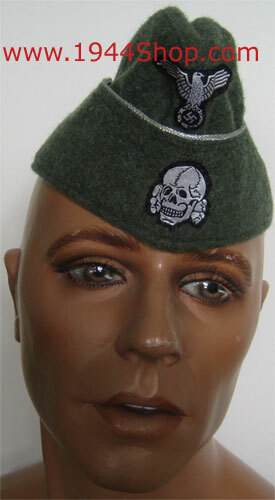 Black, Waffen-SS M-43, Nco / Man cap. 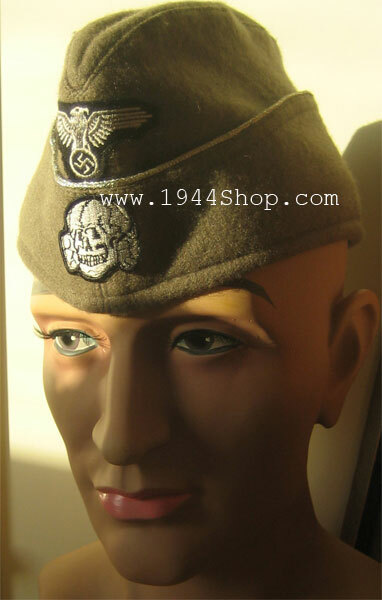 Field Grey, Waffen-SS M-43, Officer Field cap. 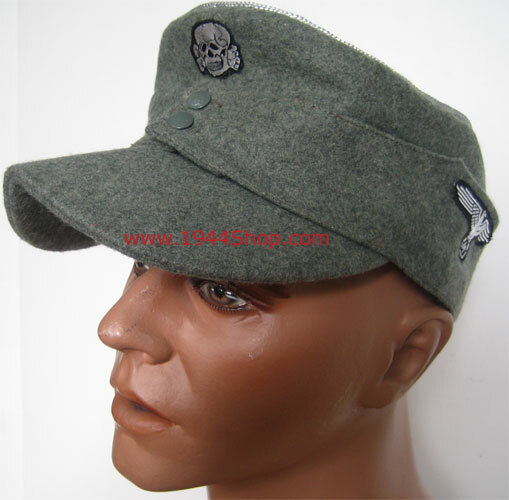 Stone Grey, Waffen-SS Side Cap, Officer. With SS-Totenkopf and SS- Eagle. These badges ARE attached. Made in fin "Stein grau" wool. With silver piping. 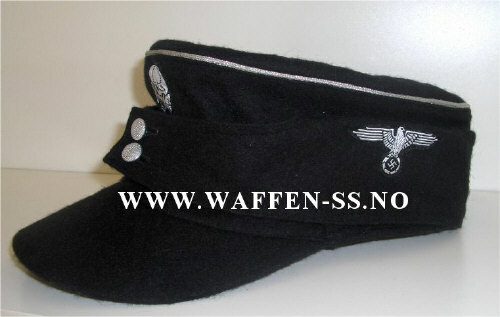 Field Grey, Waffen-SS Side Cap with "V" in white, Officer.